This tradition-minded property is currently owned by the fifth generation of the Franceschi family. Estate manager Fabrizio Bindocci started in 1976, first responsible for viticulture, then adding winemaking duties in 1999. 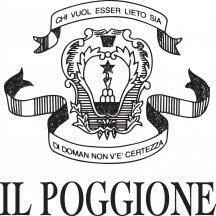 Il Poggione's 320 acres of vineyards range in elevation from 500 to 1,500 feet, giving Bindocci, now joined by his son Alessandro, the resources to make a balanced Brunello each vintage; in 2010, favorable growing conditions contributed to something truly special. The wine macerates for 20 to 25 days on the skins with a submerged cap, then ages three years in 3,000- and 5,000-liter oak casks. "Salmon with amber highlights. Floral nose with notes of raspberry, strawberry and spices. Fresh on the palate, but with a pleasant roundness, this rosé flows onto the palate with an expressive core of perfumed cherries, spices and flowers." Salmon with amber highlights. Notes of raspberry, strawberry and citrus on the nose. Fresh on the palate, but with a pleasant roundness, this rosé flows onto the palate with an expressive core of perfumed cherries, spices and flowers.Blend: 100% Sangiovese.